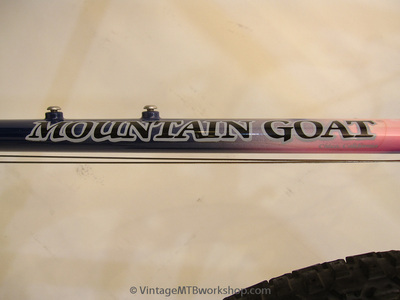 William Jeff Lindsay began offering Mountain Goat frames in 1981, and brought with him both innovative design and an artistry not typically found in the emerging mountain bike market. 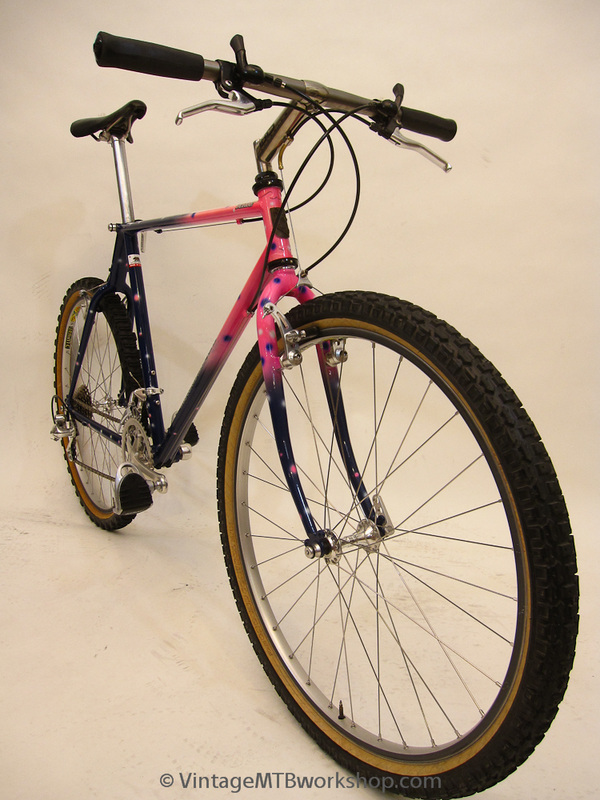 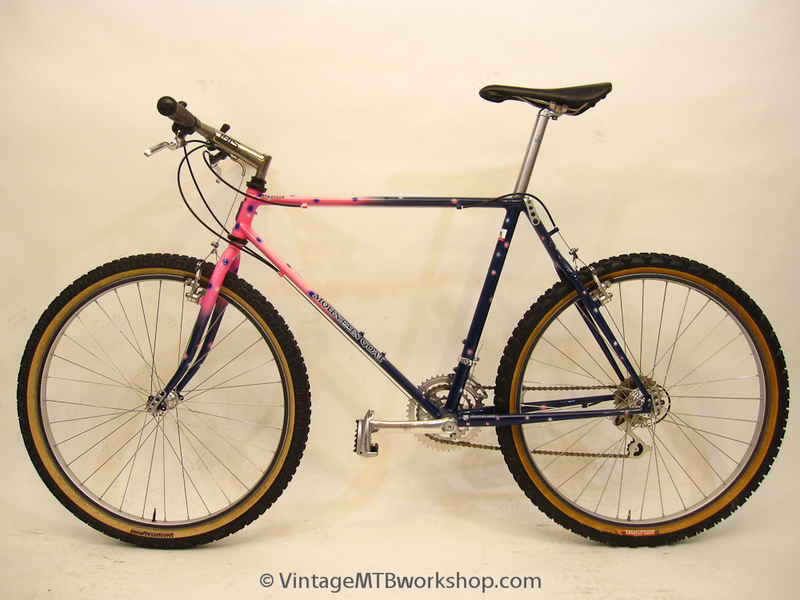 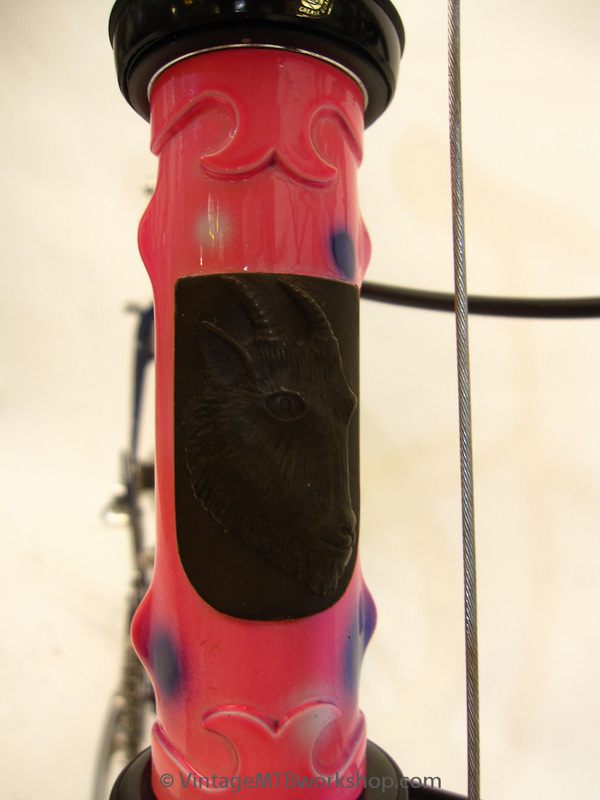 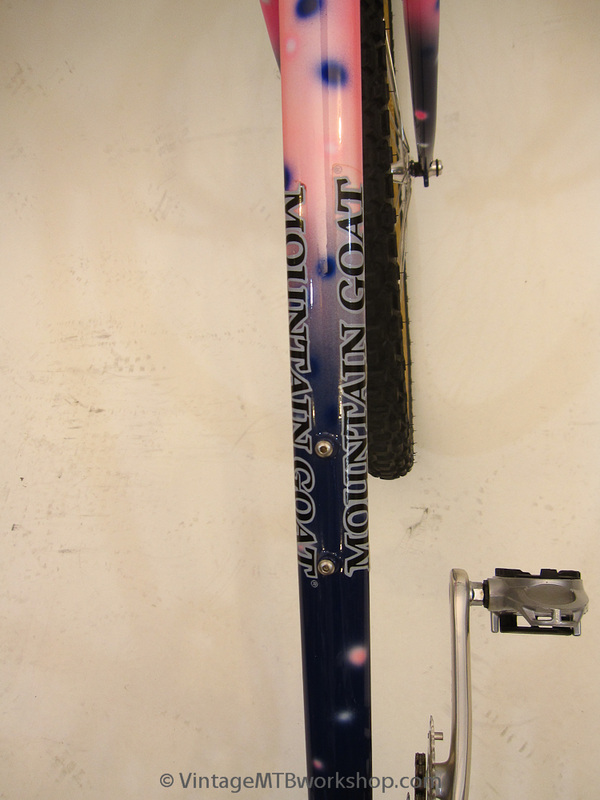 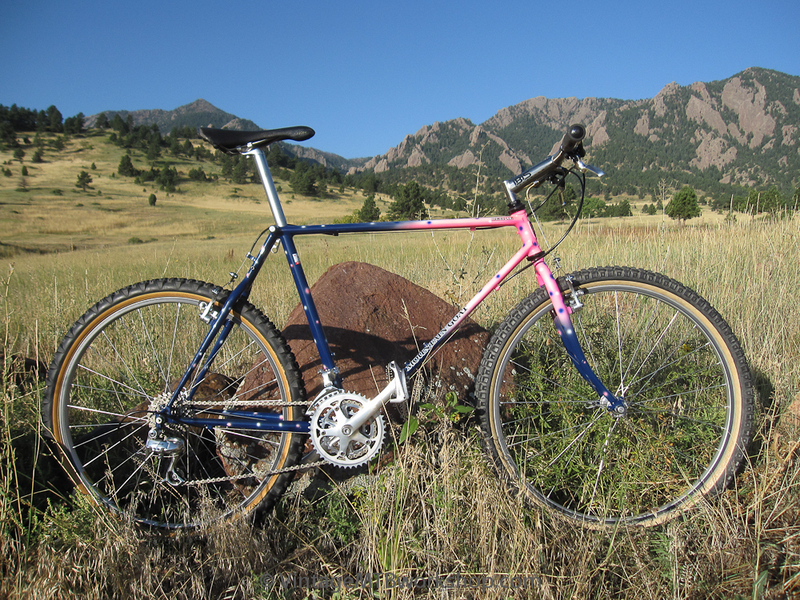 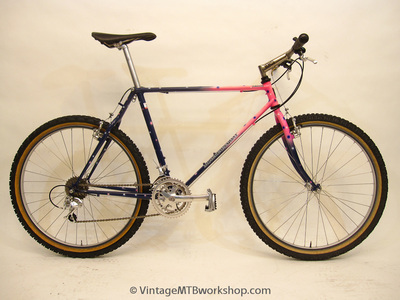 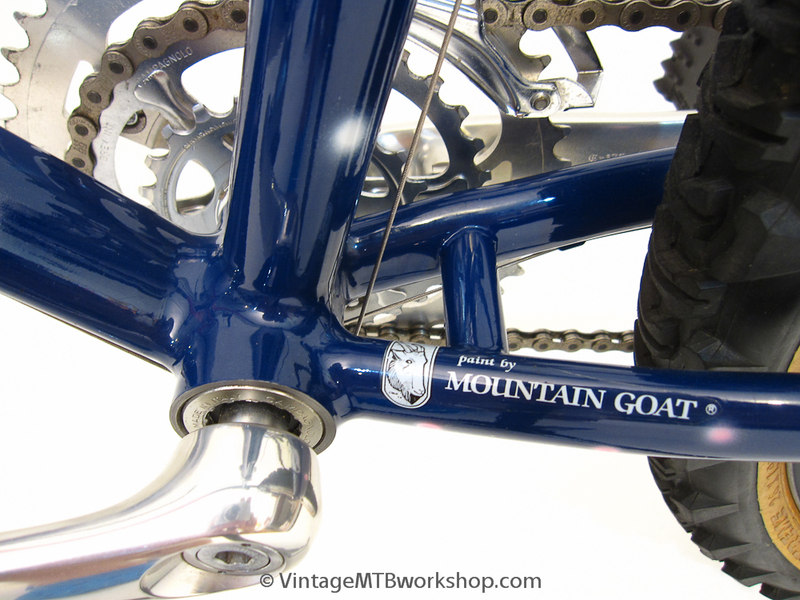 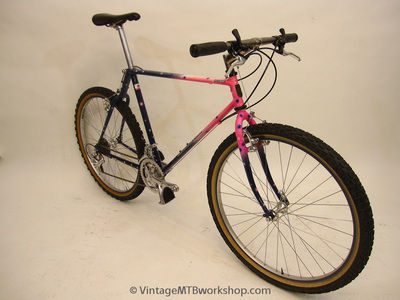 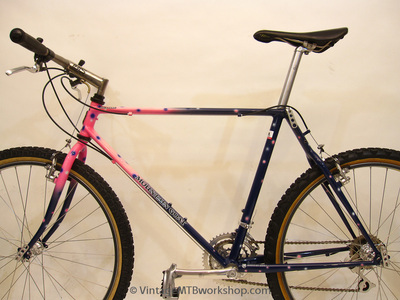 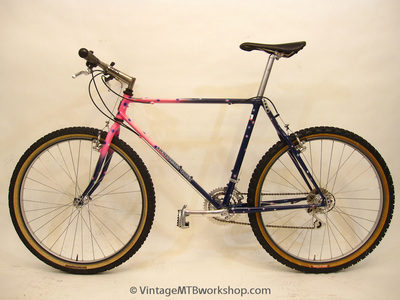 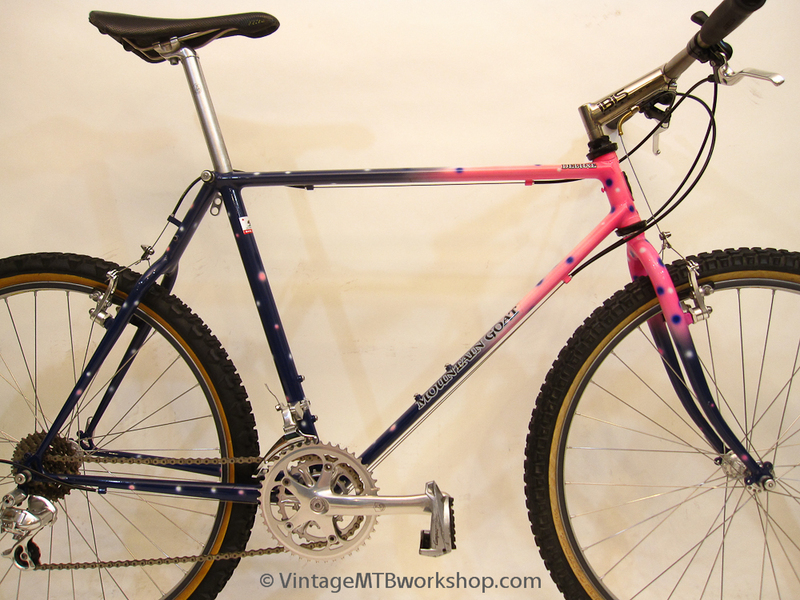 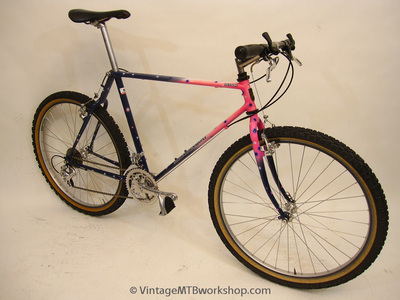 Together with Russ Pickett of Air Art, Mountain Goat would become known for some of the most elegant fillet-brazed frames with the most exotic paint jobs. 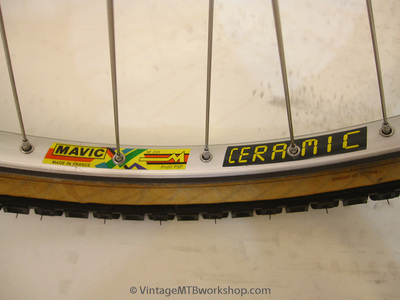 The Deluxe model always remained at the top of the Mountain Goat line, with its characteristic oval top and down tubes and internal seatpost binder. 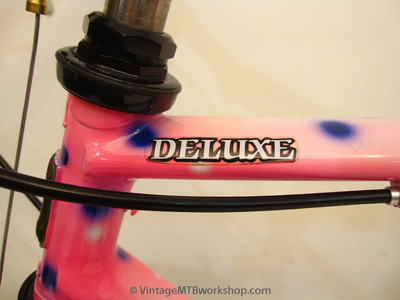 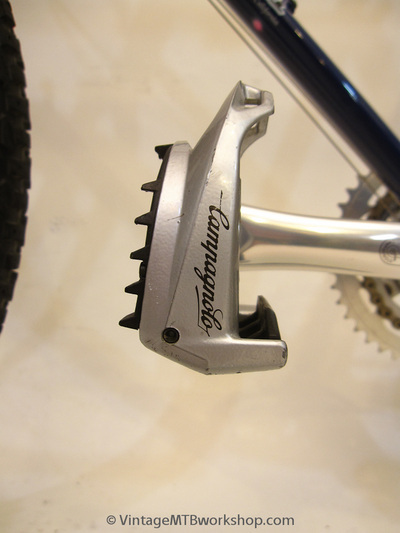 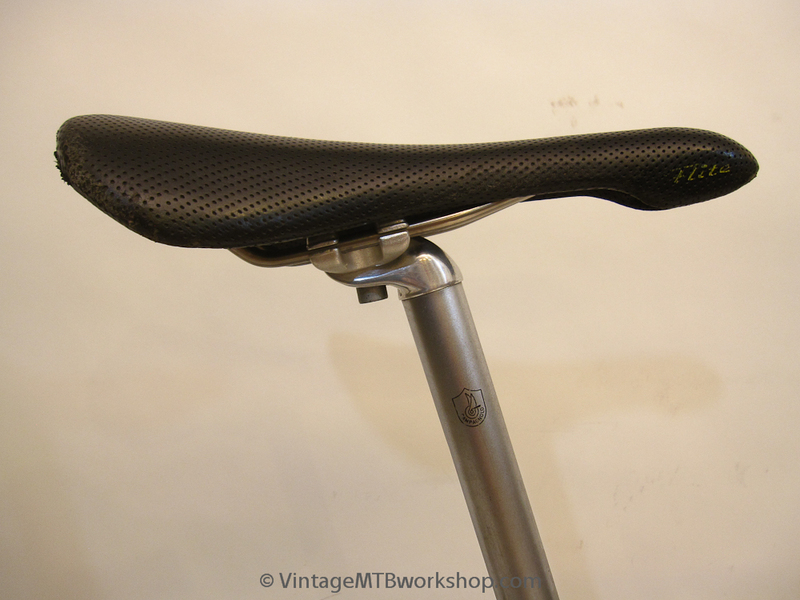 The Deluxe saw various changes to the seatstay and fork design over the years. 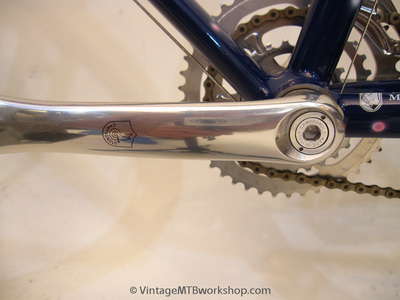 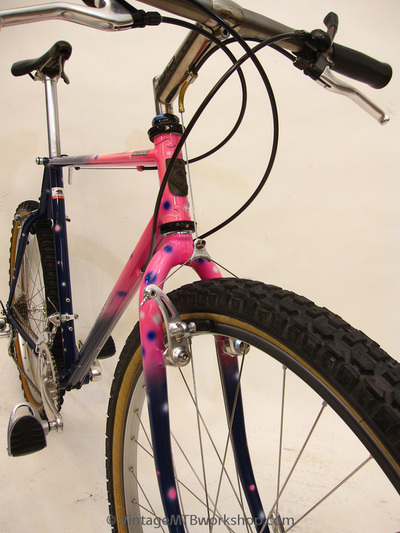 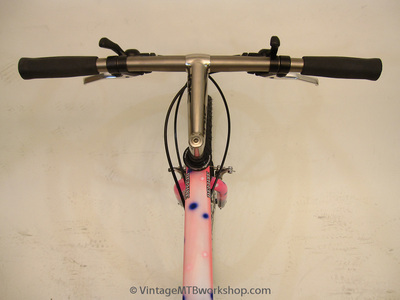 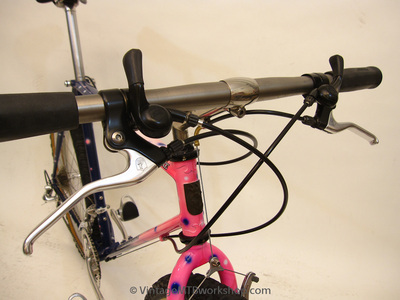 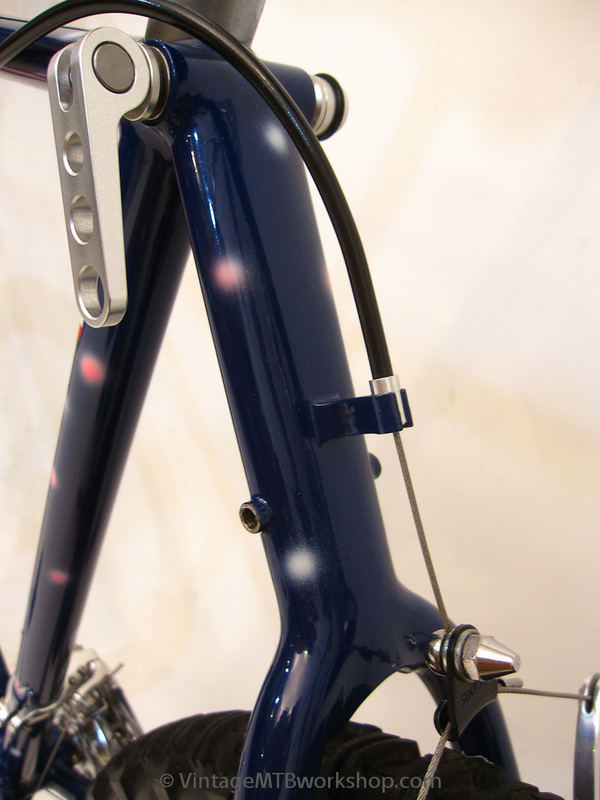 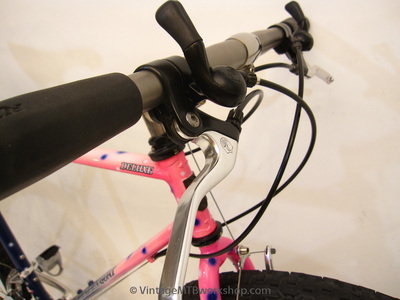 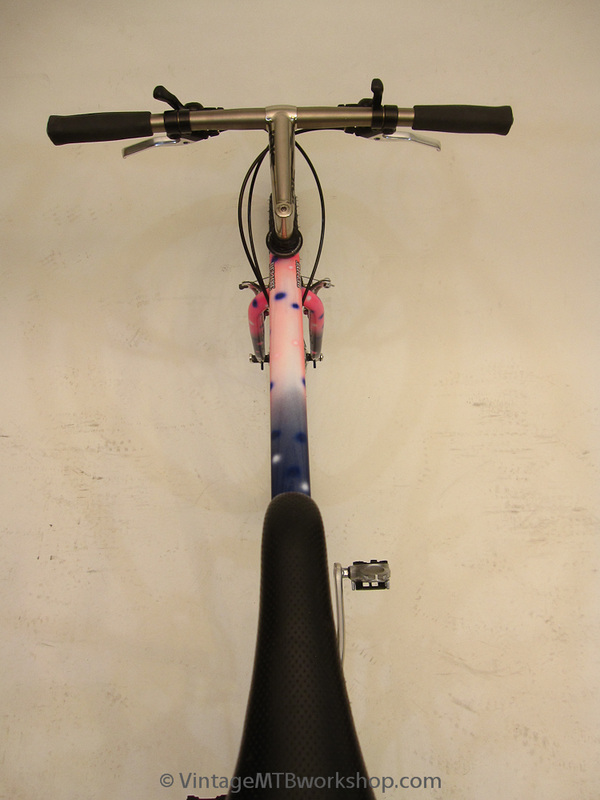 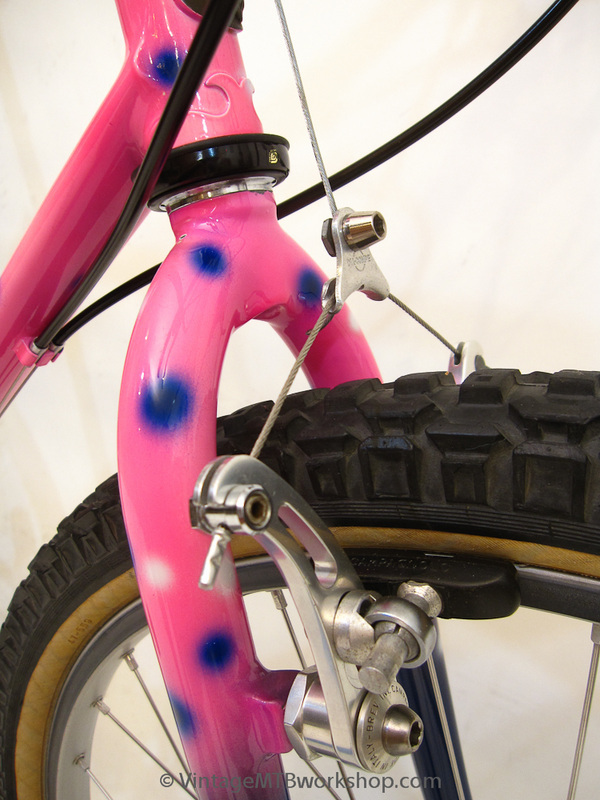 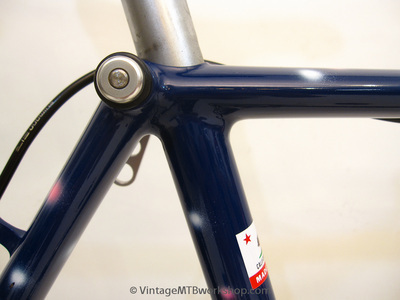 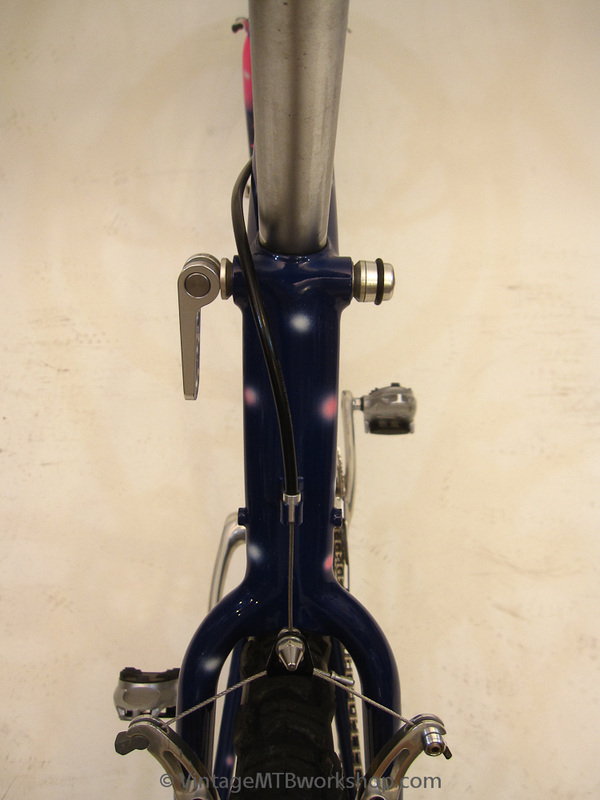 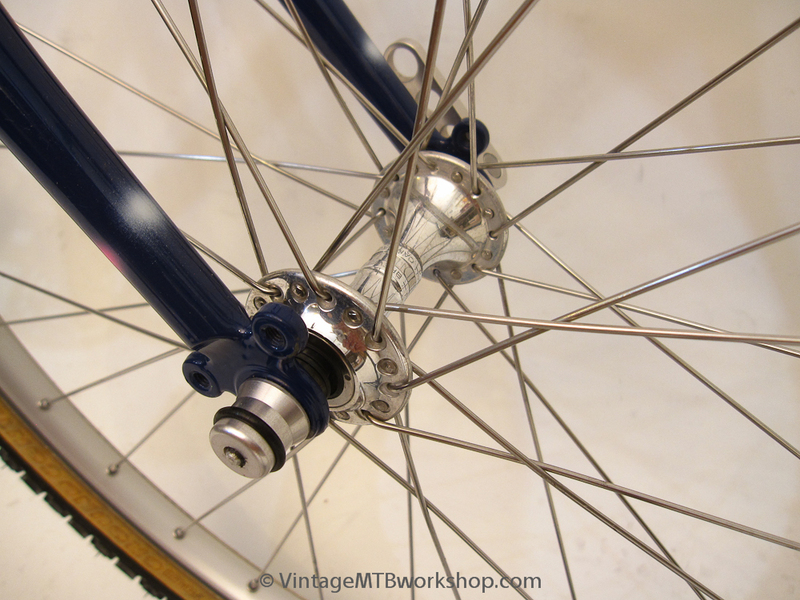 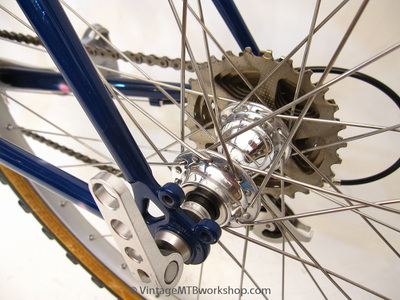 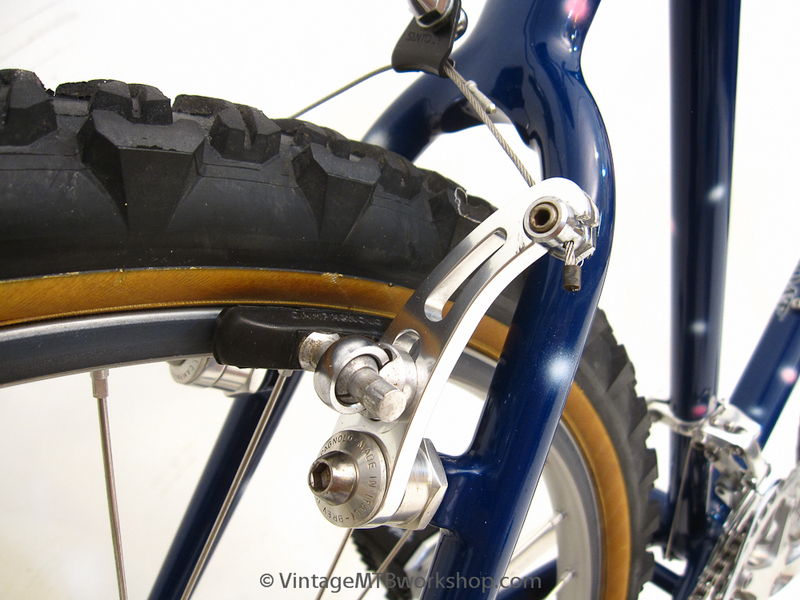 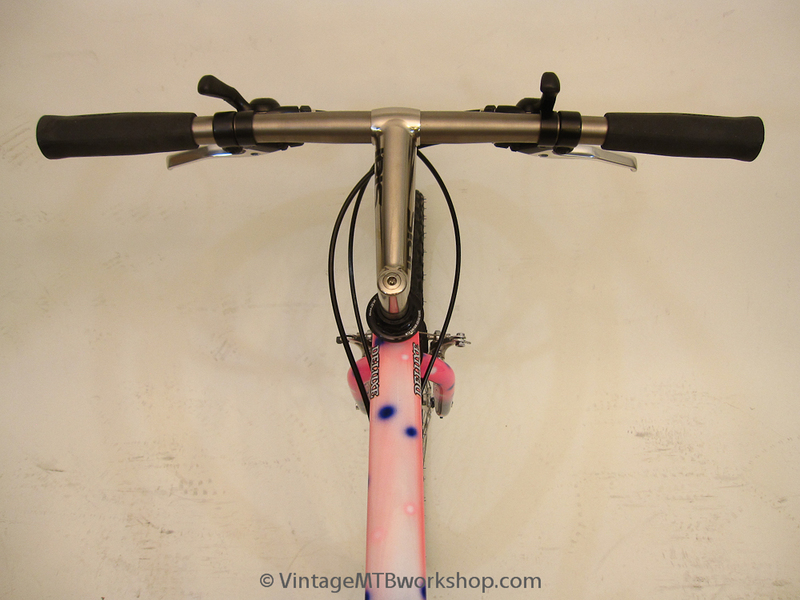 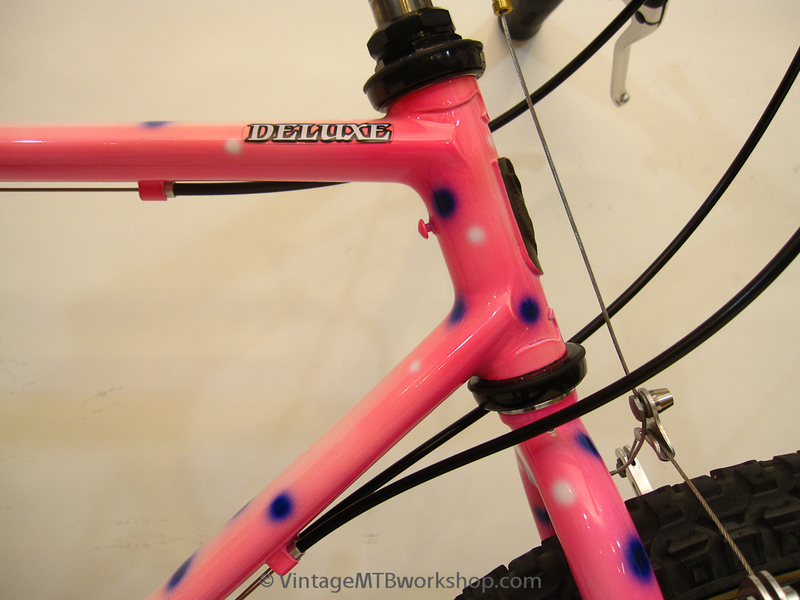 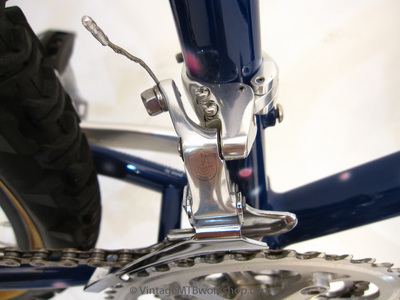 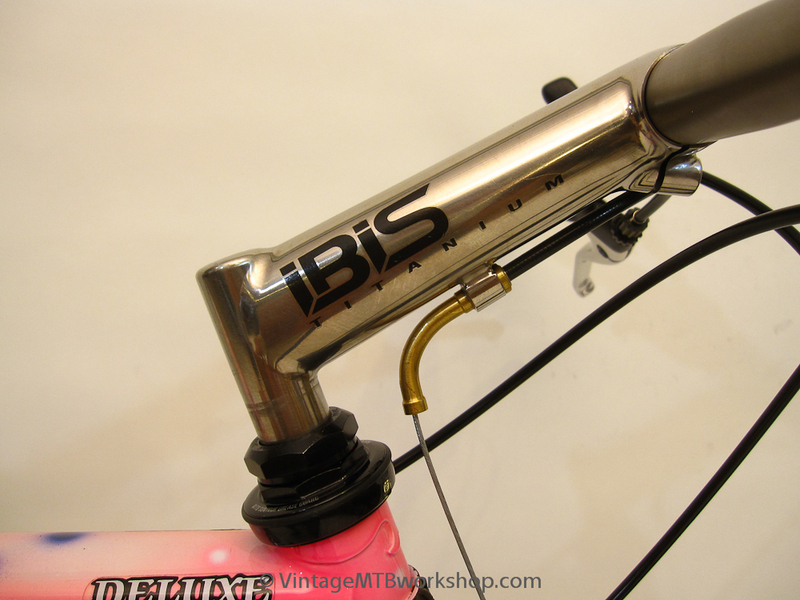 This particular example has the later wishbone seatstays and unicrown fork, but is missing the painted-to-match stem. 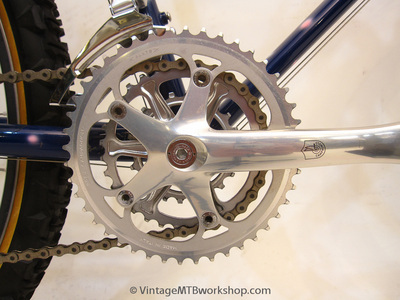 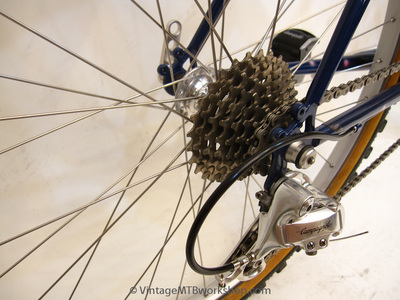 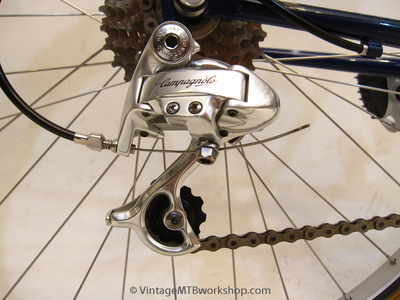 The bike is built up with a complete Campagnolo Record OR group, which was a commonly used specification and consistent with the artistry and elegance associated with the Deluxe model.